It’s been a hectic past few days. I realise I went quiet for a while a few weeks ago, mostly because I was writing book 2 and really, nothing much was going on apart from me living in a dream place and writing, oh so much writing. I was on an even keel and puttering along nicely, or so I thought. Then November hit and suddenly it was all the things. I wrote a blogpost for Sam at Realm of Fiction that went live earlier this week. The response to the blog has blown my mind and for someone like me who is nobody to have a bunch of people tell me the blogpost was a fun read, that they love the sound of Banished, all that cover love and general excitement, totally is just the best. I really hope that if you do decide to step in the world of the Blackharts, and Kit’s especially, you won’t regret it. I’ve been asked by people online, via email and twitter and in real life (thanks Sam at Waterstones! ): is there a love triangle? I can state that there is no love triangle. But there are a lot of relationships and I hope that they are complex and interesting. Because as humans (and other creatures) our lives and relationships are complex and strange, especially when it comes to family and what’s expected of us. 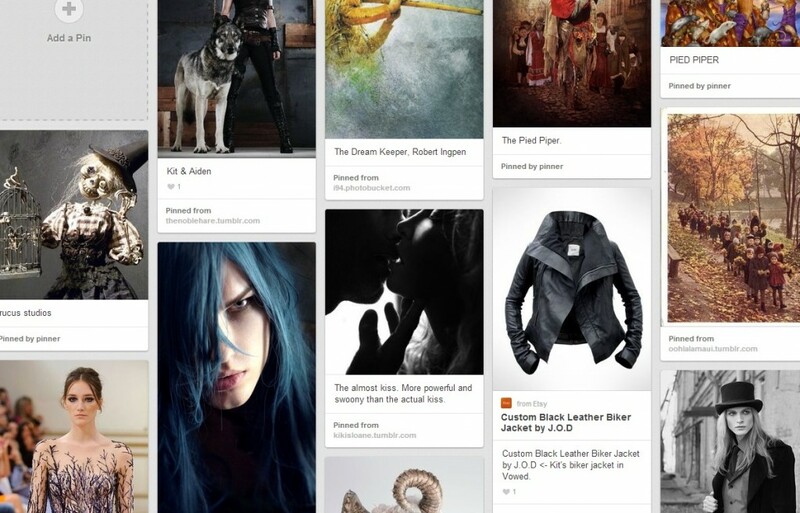 I naturally had to create a Pinterest board for Vowed too and it’s closely linked to the main Blackhart Legacy board. There’s also a soundtrack which I need to tidy up so I’ll mention that on another day. What’s next? Next is one day of rest, before jumping into edits. The rest is necessary as I feel completely drained after finishing this book. I even cried a little because you know *slow walking away full of feels whilst staring with eyes brimful of tears at the camera* is sort of how it feels when a book is wrapped up. For me anyway. Enjoy the pinterest board! And I’ll be waffling forth here probably next week Wednedsay/Thursday to let you know who will be a named character in Book 3 of the Blackhart Legacy.